Cochin Shipyard Limited has inked MoU with United Shipbuilding Corporation, a Russian firm, to develop specialised vessels for Inland and Coastal shipping. Inland Waterways Authority of India (IWAI) signed an agreement with World Bank for Jal Marg Vikas Project i.e. National Waterway – 1 on the Ganga River from Varanasi (Uttar Pradesh) to Haldia (West Bengal), covering a distance of 1620 km, which shall be constructed by March 2023. A 17 member task force has been constituted by the Ministry of Defence (Department of Defence Production) to study the use and application of artificial intelligence (AI) in military. It will be headed by Tata Sons Chairman N Chandrasekaran. The 1.4 lakh crore rupees scheme Kisan Urja Suraksha evam Utthaan Mahaabhiyan (KUSUM) scheme for promoting solar farming i.e. decentralised solar power production to help farmers has been announced by the Union Government. 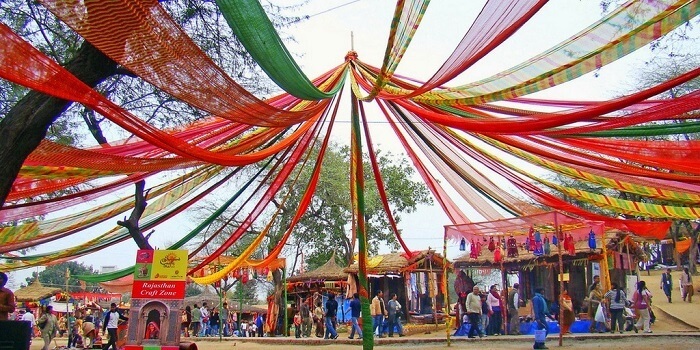 The 32nd edition of the Surajkund International Crafts Mela was held at Faridabad, Haryana. This cultural festival is being hosted since 1987. The theme state for this year was Uttar Pradesh while the partner nation was Krygyzstan. The Floating Treatment Wetland was inaugurated in Neknampur Lake in Hyderabad to purify and clean the polluted water body. The Under-19 ICC World Cup was won by the Indian team after they defeated Australia. With this win, India is the first nation to win the U-19 World Cup four times in a row. The Small Industries Development Bank of India (SIDBI) and Crisil, the ratings agency, have launched CriSidEs, the first MSE Sentiment Index for micro, small and medium enterprises in India.